The monthly gallery stroll is meant to be a time to relax and enjoy a leisurely stroll through art galleries—taking in the most recent exhibits, catching up on the local art scene, running into old friends or meeting new people. What if you focused on just one gallery, though? Where would you go, and what would you see if you only went to one gallery for Gallery Stroll? A Gallery makes it to the top of my list for a one-stop Gallery Stroll experience for quite a few reasons, none of which are its place in alphabetical order. A Gallery is located at 1321 S. 2100 E., in a quiet East Bench neighborhood, which gets you up and out of the city. There is ample parking and plenty of accessible and delectable dinner options. 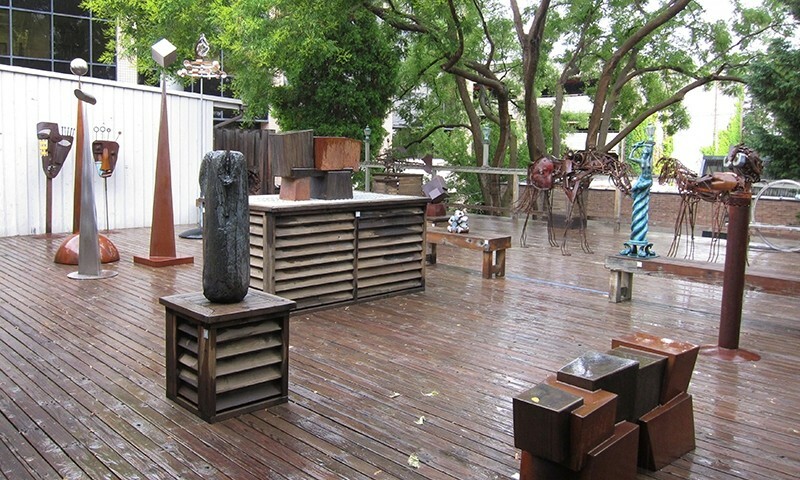 A Gallery, established in 1983, has a long tradition of showing quality work throughout their 10,000-square-foot space. This open and airy space exudes creativity and includes a tranquil and entrancing Zen art garden. The Summer Solstice Event will continue to grace the gallery walls through August, and features many of the gallery’s talented and prolific artists. Stop in anytime Monday–Saturday 10 a.m.–6 p.m., or for Gallery Stroll on Aug. 15 from 6–9 p.m. The Finch Lane Gallery is nestled in the southeast corner of Reservoir Park on 1320 E. and 100 S. This gallery is the brick-and-mortar representative of Salt Lake City’s arts community, as it serves as the official gallery of the Salt Lake Arts Council. This summer, the gallery celebrates its 30th year in existence with the show 30 Years at Finch Lane Galleries: A Retrospective. Hundreds of brilliant artists have been shown over the last 30 years, so Curator and Visual Arts Program Manager Kandace Steadman had her work cut out for her. With limited space and the ultimate goal of curating a cohesive show, Steadman selected one artist from each of the 30 years. The list of participating artists reads like a who’s who throughout the last 30 years. The retrospective show is only up until Aug. 8, so I recommend carving out a night before the official Gallery Stroll and bring a picnic so you don’t have to rush out to find dinner. If you attend the gallery after Aug. 8, you’re still in for a treat. Portrait painter Michelle Condrat, glass artist Julie Stutznegger and lamp artists John and Nancy Starks’ work will be on display from Aug. 15–Sept. 26. The Phillips Gallery, located at 444 E. 200 S., was founded by Denis and Bonnie Phillips in 1965. It currently reigns as the oldest gallery, not only in the state of Utah, but in the Intermountain region! To survive 50 years of economic ups and downs is a feat in itself, but Phillips hasn’t just survived—it has thrived! 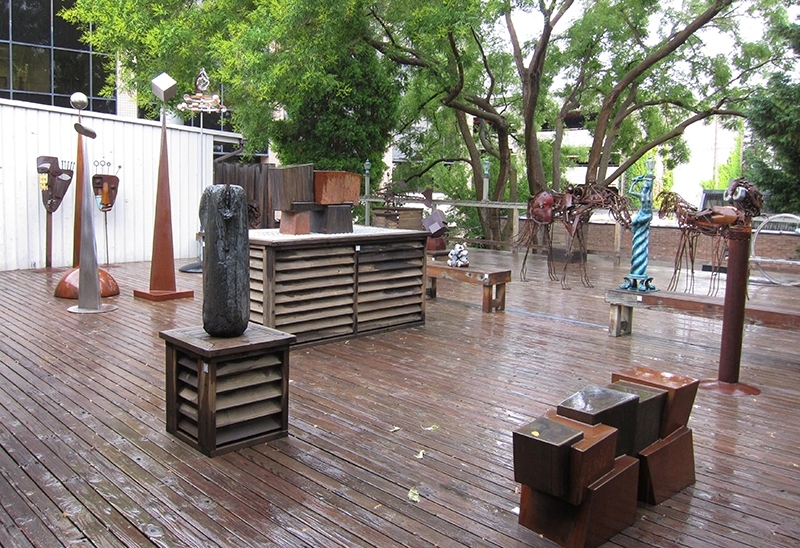 Over 100 artists are represented and exhibited throughout the three-story gallery, including a beautiful sculpture deck and courtyard garden. Open 11 a.m.–6 p.m. Tuesday through Friday, 11 a.m.–4 p.m. on Saturday and from 6-9 p.m. for Gallery Stroll. In my opinion, The Phillips Gallery offers an unparalleled Utah Gallery Stroll experience with a rich history, yet a fun and fresh experience every time.